For those of you who haven’t heard of the band Neverset, you are in for some head bobbin. With smashing vocals and guitar riffs that could kill a man on the spot, this band is not one to mess with. They are spending the next few months on tour with three huge acts. Are they coming your way? 03/18/2008 05:00 PM – Roberts Stadium w/ Three Days Grace, Breaking Benjamin & Seether! 03/19/2008 05:00 PM – Eastern Kentucky Expo Center w/ Three Days Grace, Breaking Benjamin & Seether! 03/21/2008 05:00 PM – The Palace of Auburn Hills w/ Three Days Grace, Breaking Benjamin & Seether! 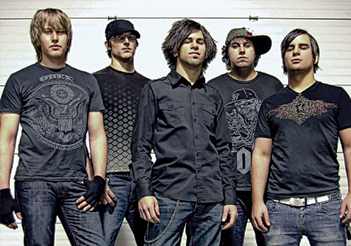 03/22/2008 05:00 PM – Pepsi Coliseum w/ Three Days Grace, Breaking Benjamin & Seether! 03/24/2008 05:00 PM – Target Center w/ Three Days Grace, Breaking Benjamin & Seether! 03/25/2008 05:00 PM – Tyson IBP Events Center w/ Three Days Grace, Breaking Benjamin & Seether! 03/27/2008 05:00 PM – i Wireless Center w/ Three Days Grace, Breaking Benjamin & Seether! 03/28/2008 05:00 PM – The Eagles Ballroom w/ Three Days Grace, Breaking Benjamin & Seether! 03/30/2008 05:00 PM – Erie Civic Center Complex w/ Three Days Grace, Breaking Benjamin & Seether! 04/01/2008 05:00 PM – Bryce Jordan Center w/ Three Days Grace, Breaking Benjamin & Seether! 04/02/2008 05:00 PM – Chevrolet Theater w/ Three Days Grace, Breaking Benjamin & Seether!